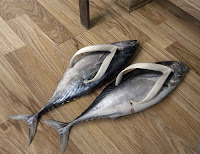 A political journalist just asked me whether I had seen her flip-flops and for a second I thought it was a reference to a change of policy: the dithering of a politician or the tergiversation of an editorial line. It turned out she was talking about shoes. I don't like the term flip-flop. Even though I can see that it flips the one way and flops the other and that it combines this with ablaut reduplication (like ping pong or tick tock). Perhaps I just don't like the fl sound. O spirit and heart made desolate! He would never have been ennobled. Far better is the word girouettism, which means "the practice of frequently altering one’s opinions or principles to follow popular trends". It comes from the French for weather vane because of course a weather vane turns whichever way the wind blows. Girouettism also allows you to accuse your opponent of being a girouettist, which would cow anybody or at least send them scuttling to a dictionary. In Quebec the word is considered so rude that it banned in parliament. P.S. 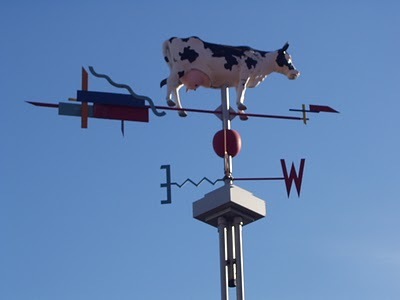 There is more on windy politicisms in this post on straw polls.